Are You Maturing In Your Faith? Do You Live for God’s Glory or Your Own? What Will God Do With Evil? How Do You Battle Depression? How Can Your Faith Make a Difference? I Kings, chapter 17. I am excited to jump into this. Last week we really laid just some groundwork over how to approach scripture and we only looked at a few verses related to this section of scripture in I Kings at the very end of chapter 16, leading into chapter 17 as it relates to the life of Elijah. Any time you approach a passage of scripture I think it is significant for us to understand not only the historical context, but the literary genre in which we are engaging in, because that has everything to do with how we interpret and apply it to our lives. God’s Word, though it was relevant to the people it was written to God’s Word is also truthful for us today. It is timeless and truthful and so it can be relevant for our lives, as well. God wants us to glean from scripture, so understanding the context, understanding the framework from which it’s written and understanding the literary genre becomes important. Let me just throw some light on that. 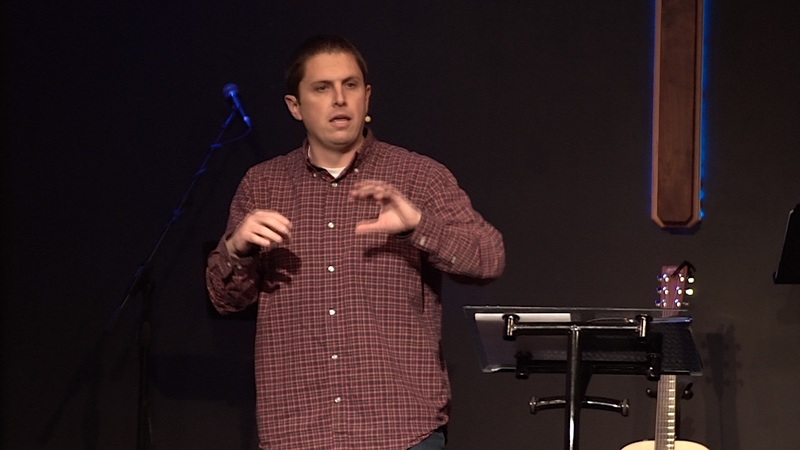 We looked at, last week, how the Bible is broken down not in chronological order … If you ever approach scripture expecting it to be in chronological order, you’re going to be sorely misled. Right? You get to the New Testament the first thing that’s there are four Gospels, then you have a historical book, then you have epistles written and you have an apocalyptic book at the end. The Bible is broken down according to literary genre, not according to chronological order. Sometimes books follow in a chronological order, but it’s not always the case. In the Old Testament you have the historical books, first 17 books. Then you have five poetic books and then you have 17 prophetic books. How you approach those texts matter. For example, let me just throw one out there that sometimes rubs people, is the idea of singing about God’s love being reckless, right? From a theological, proscriptive way, God’s love in no way is ever reckless. God’s love is intentional. God’s love has been declared to us from the beginning. In fact, I think the song starts that way. “Before we even breathed a breath, He breathed His breath over us.” God’s love was there from the beginning. Right? God’s love … It’s been told since Genesis, chapter three. Jesus will come. God doesn’t just ad hoc figure out a way to rescue your soul because He has no idea what He’s doing. God’s love is intentional. But there’s also a way of viewing God that’s poetic. So when you consider truth claimed in scripture poetically versus proscriptively, there’s a different way of interpreting that. For example, the Bible says things about God like God is a mountain, God is bear, God is a hen. God is none of those things, just so you know. When you see God, He will not appear in the form of a bear and a hen and a mountain. But it’s poetic. It’s to describe the nature which is represented to you of how we conceive and perceive of who God is. So that matters in the way you interpret. When it comes to the idea of God being reckless, look. From my perspective, His love makes no sense. Why would God love me? He doesn’t need me. Yet not only did He love me, He loved me in my sin. He pursued me. He gave up His throne. He became a servant. Even scripture tells us on the night He was betrayed He washed the feet of the one who would betray Him. That doesn’t make any sense to me. The Bible says things like that. For example, the Bible says things like “the sun rises and the sun sets.” Now if you enter into a scientific world and you proclaim that, people are going to look at you and say, “You are a fool.” The sun doesn’t rise and set. The earth revolves around the sun. But from our perspective, we see a sunrise and a sunset. God’s love is not reckless. But from our perspective, I cannot make sense of it, but I am so thankful for the love that’s been given to me. So how you approach scripture matters. Literary genre matters. And when you look in I Kings, chapter 17, this is written in narrative form and that’s important to know, because when the Bible writes narrative it’s important to know that everything the Bible records doesn’t necessitate that it’s prescriptive from your life. In fact, a lot of the narrative things that happens in scripture, they’re just flat out crazy. It is so unique and so odd that you can recognize that God’s intentions for doing something so unique and so odd is to take a calloused heart and to shake it up a bit, so it gets to waking up, to “Hey, maybe God is doing something here.” Right? So narratives in our lives aren’t intended to say, “Okay, God did it like this so He’s going to do it like this in your life.” It’s simply to show all of us that God is working in a unique way to awaken all of our hearts to see the goodness of who this God is and embrace Him with our lives. Narratives are intended for us to see, not necessarily the prescription of God, but the description of how God moved for a particular people to come to know Him and to enjoy Him, that we ourselves could know and enjoy God. During the life of Elijah, this is significant. I have said Elijah was a very prominent figure in Jewish literature, even into the New Testament. In the New Testament you see on the Mount of Transfiguration, when Jesus is praying, Moses and Elijah appear. Their representation there at the Transfiguration is a demonstration that Moses represents the law, Elijah represents all of the prophets. So Elijah is a very prominent figure to Jewish people, so much so that even during the Passover … There’s a portion of the Passover where they look for the return of Elijah. Elijah never died in scripture. He was carried off by God. Elijah is a very powerful figure. And Elijah is a person that God called in the midst of darkness. If you remember the historical context of this narrative, Israel had three kings, Saul, David, Solomon. After Solomon there is a civil war, Israel splits. Two tribes go to the south. Judah … It’s typically referred to as the Tribes of Judah. And ten tribes go to the north, typically referred to Ephraim, the two biggest tribes that separate. So 10 to the north, two to the south. The first king to lead the north was Jeroboam. The first king to lead the south was Rehoboam. The kings to the north … There was never a godly king again in Israel’s history. Nineteen kings they would have and 19 kings all pursued false gods in their lives and pagan worship. They forsook God. Elijah comes at a time where a king named Ahab appears. He’s the seventh king out of 19 kings. It tells us in the story at the end of chapter 16 that Ahab marries Jezebel, which is a unique statement, because when it records all the kings it never really talks about their wives. But in this circumstance it’s talking about the wife of Ahab, because Ahab’s wife is Jezebel. Now you may not know a lot about Jezebel historically in scripture, but maybe you know enough about Jezebel today that if anyone calls you that, whatever you’re doing, stop doing that. Right? Because that is not a compliment. Jezebel was wicked and so was Ahab. It tells us … It relates to Ahab that no king had done more wickedness in the sight of God than Ahab had done. In the midst of this wickedness, God calls Elijah in that adversity to take a stand before the Lord. In fact, Elijah’s name means “Jehovah is my God.” Elijah was bold. Maybe not quite that wise, to come before Ahab. I’m sure his mama tried to talk him out of that. He comes before the two most wicked rulers in the northern kingdom of Israel, to declare that God’s judgment was coming upon them. He says that God’s going to cause no rain to fall on the land for three years. Now to come before any ruler and pronounce any kind of judgment against their country, probably not the wisest thing. But to come before the one that had no problem with killing God’s people, that’s something different all together. Right? So here’s what we find in the life of Elijah as this chapter starts to unfold, is that Elijah’s name, it recognizes for us where Elijah is positionally before God. Elijah is pursuing the Lord with his life. His name is a declaration of following God. We’ve said together, look, in the Old Testament especially, names matter. In our society today sometimes we pick names with meanings, but a lot of times we like names that are spelled cool and sound cool. Right? That’s fine. That’s great. Great way of doing things. In Israel’s day they picked names that defined identity. They wanted a name that reflect who that person was. Elijah? “The Lord is my God.” Positionally his name was a declaration of the person he wanted to be. But experientially he still needed to grow. In your life have you ever taken a stand for the Lord? Can you think of a time … Yeah, when people around you are Christians, yes it’s easy to do that. But what about a position of opposition? Ever taken a stand for the Lord? I remember the first time when I became a Christian, the first time I became a Christian … You only do that once. When I became a Christian, the first time I came before someone to tell them I was a Christian and I picked someone that was close to me, someone that was older than me. Someone I knew that didn’t claim to be a Christian. I made that statement and I was thinking, “At least they’re going to be happy for me, because they care about me.” And the response I got shocked me. In fact, it was one of those, “Will, fine then. If you feel that way, I’ll take my ball and go home. We just won’t talk anymore.” That’s kind of how I felt. I didn’t say that out loud, but come to find out, had I had more maturity in the faith, that their stand against Christianity wasn’t really directed towards me. Rather, it was directed towards Christians that had put a foul taste in their mouth. But you know, in the Christian life, when we take stands like that there are some stands that we take that really, in order to endure through it, we need a faith that is strong. Right? If God told me ten years ago or, I can’t remember when I moved here. Over ten years ago I moved to Utah. Then we planted this church in our living room about ten years ago. If God told me on that day everything that would be entailed over those 10 years, I try to think, “Would I do it again?” And I don’t think I would have the strength in me to do it. I could not in my mind conceive of how you could find the strength to see all that happen within the framework of 10 years. It would crush me. But the good news is through that process God matures me. And now, being able to be a part of what God’s done, you get to reflect and see the beauty of what God does in lives of people all around you. Hindsight, no way I could have done it. Because God was with me, I could see His hand doing it. When Elijah comes before Ahab, no way Elijah could have really taken a stand before Ahab. He wasn’t ready. And God brought him to a place to grow. When you think about the life of Elijah it’s like the Rocky IV story. The Russian beats up Rocky’s friend. Rocky tells him he’s going to take him on, but had the Russian fought Rocky right then he would have crushed him. So rather than fight him right then, Rocky had to go away and mature. Right? He had to do things like run in the snow while cars chased him, go in barns, do set ups upside down. Things like that, right? Which I’m told that was filmed in Jackson Hole, which is cool to think about when you’re in Jackson Hole. Rocky needed to mature physically in order to handle the battle before him. When you come before the kind of Israel who is considered the most wicked of all time, positionally yes, Elijah you know that God is your God. But experientially, a faith that has not been tested cannot be trusted. So the need to mature becomes significant in the life of the believer. So how does God mature us? That is exactly what chapter 17 is all about. God uses these circumstances in chapter 17 to start to mature the faith of Elijah in what he’s going through. He starts off in this story by bringing Elijah to a place of maturity. Look at this. Verse 2, “The word of the Lord came to him.” So after Elijah goes to Ahab, said there’s going to be a drought, God says, “All right. You need to run.” Right? So it was like the word of the Lord came to him and he says, “Go away. Ahab is going to kill you. From here on turn eastward and hide yourself by the brook Kerith, which is east of the Jordan. It shall be that you will drink of the brook. I have commanded the ravens to provide for you there. So he went and did according to the word of the Lord, for he went and lived by the brook of Kerith, which is east of the Jordan.” Some of your translations will call it the Kerith Ravine. The ravens brought him bread and meat in the morning and bread and meat in the evening and he would drink from the book. Verse six is for vegetarians to circle, right? The birds bring meat. Okay? I’m teasing. This definitely takes a leap of faith, I’m going to tell you. If birds brought me anything, it’s not going down my mouth. Right? But Elijah is called by God to go to the Kerith Ravine. This word for Kerith is beginning to demonstrate what God desires to do in Elijah. Remember, words have meaning. Kerith literally means “to cut down.” For Elijah to stand before Ahab, he really needs to know his God is sufficient, not just positionally, but experientially. That is a big battle in front of him. God’s going to lead him onto a mountain to have that battle, but God before that wants to grow him in the kind of man that he wants him to be for that battle. So God sends Elijah to the Kerith Ravine to be cut down. To be humbled. To empty himself of himself, that God can work through him. In fact, when you study that idea in scripture, it’s a theme throughout. Jesus tells us that. In the book of Luke, chapter nine, Jesus said to all of them, “If anyone wishes to come after me, he must deny himself, take up his cross daily and follow me.” Every day. Paul said it like that in Galatians, chapter two, verse 20, a little different. He says, “For I am crucified in Christ, nevertheless it’s not I who live, but Christ who lives in me and the life I live I live by faith in the Son of God who loved me and gave Himself for me.” Complete surrender. That position of surrender to experientially have demonstrated in your life the goodness of who this God is. For every servant to be truly used of God, you’ve got to come to a place of complete surrender in God. Do you want to be strong in Jesus? Like Rocky, “Do you want to beat the Russian?” Yes. It’s going to take some maturity. Christian, do you want to win the battles? Yes. There’s going to be some training. God’s going to lead you to Kerith Ravines. Kerith Ravine is thought of maybe as a painful blessing, which is weird to say, but it’s exactly what you experience when you go to the gym. Right? You do that workout. Never in my life would I thought I would be into the day where I did lunges for exercise. I remember as a kid I’d run around on the Basketball court and just look at people that do exercise, but anyone that exercised, that was considered old in my mind. And then I got to the place where I couldn’t quite do what I used to do on the basketball court. No I’m lunging, so much so that I do it with my kids in the living room and my wife records it. It feels weird and then when I watched it on videotape, which I didn’t know she was recording me by the way, it looks way weird. But here’s what happens in that. You experience a pain, like the next day I don’t want to walk. But there’s this firmness that’s less flabbiness to your life. Right? Painful blessing. Same thing is true with the difficulty that we go through in life. It’s not that God doesn’t care about our hardships. But not only does God care about your hardships, but I think God not only cares about your hardships, he cares more about the heart of the believer going through the hardship. Sometimes we say to ourselves, “I’m going to wait until I’m at a good place and I’ll start following God, but really it’s in the midst of the mess that you should start pursuing God with your life, rather than close your ears and close your eyes and think, “When this difficult time is past, then I’ll follow Jesus.” It’s rather seeking Jesus in the midst of the adversity. Learning in the challenge. Because as you gain wisdom through the challenge, God uses you to bless the lives of others as they experience challenges in their world. So God brings this painful blessing, this place of growth, a place that maybe we would never pick for ourselves. I’m not saying pursue pain. I’m not saying try to make your life more difficult than it is. But understand that God can still redeem that. God is a God that demonstrated over and over that in pain He can bring blessing. In the midst of that oxymoron of that thought, the greatest example to us is the cross of Christ. The cross was the most despised, shameful way to die. Jesus dies on that cross the darkest moment in history and comes to life and now it becomes the symbol of Christianity throughout the centuries. In the midst of darkness, there is hope. God wins. God, in that pain, can teach us through that pain of how He Himself is the blessing for our lives, that our faith may mature and grow. If you want God to use you, to grow you, there will be sacrifice, but at the same time God shows Himself as the prize. When you see or look for a mature believer that does anything for Jesus, it’s because they went through the Kerith Ravine. Moses goes before Pharaoh. Abraham offers Isaac as a sacrifice. Joseph imprisoned in Egypt. Paul stoned in Lystra on his first missionary journey. Left for dead. Jesus to Gethsemane and the cross. Those ravines matured them. Those ravines gave them depth. Ever been in the presence of someone that has walked life, gave you some wisdom and you thought, “Incredible. That’s exactly what I needed.” How’d they get that wisdom? It’s because they’ve been through the ravine. And in that ravine God uses them to bless your life. In verse seven, though, it goes just a little bit further in this thought. It says, “And it happened after a while that the brook dried up, because there was no rain in the land.” So not only does God cut him down, he really cuts him off here. “Okay, Elijah, I want you to go hide in this ravine and while you’re there the one sole supply that I’m bringing to you, that’s going to come to an end too.” When we hit a tough spot as people, our tendency is to feel abandoned, to become resentful, to think, “How could God forget me?” But you know, dried up brooks in no way cancel out God’s providential plan. Instead, I think they cause them to emerge. I mean, if we’re honest, it’s adversity that really drives me to Jesus. [inaudible 00:21:27] of my Christian life I understand this about God, that God wants me to walk in grace and truth. Being truthful isn’t always easy. Being gracious isn’t always easy. But what that does when we walk in grace is it invites mess into our lives and it can be hard to hold that bounds. But as a Christian trying to walk in this world with grace and truth toward people around us, that need in this world for the truth of God that sets them free and the grace of God that lets them find a newness in Christ. That tension for people to experience that drives me to my knees. I’m not perfect in that. I need your grace. How do you do it? It’s the Karith Ravine, the challenges of life that bring us to the place to depend on God to depend on God and, in turn, find our faith growing in Him. Have you ever had those prayers before God, “Lord, make me a godly man,” or, “God, mold me into a woman after your own heart,” and meanwhile in your heart you’re thinking, “But God, don’t let it hurt too much, okay?” Or, “Lord, make me stable, long suffering and gracious, but don’t remove my creature comforts. If you could do it behind my recliner in front of my television, Lord, that’s the spot to meet me.” Right? Or how about this? “Lord, make me patient right now.” It’s like I don’t think you know how this works. I hope you see the irony of that. There’s challenges we face and God uses those challenges to grow our faith. How important it is to learn those lessons. I think maybe the question to ask for each of us this morning is, where is our Karith Ravine? And what lesson might God be teaching me through it right now, that God might prepare you in it for a greater battle to come, for His glory? Now, think about this for a minute. Elijah’s going through this process where the Lord is maturing him. And then he says, “Okay, now to mature your faith, I want you to go take from a widow who’s about to have her last meal and die.” I would say, “Okay, Lord, I’ll do it if you said it, but first I’m going to get my ears checked and then I’m going to come back to you to find out what you really had to say.” Right? I mean, could you imagine being this widow when Elijah shows up? “Hey, lady, give me the bread.” And she’s like, “I don’t have any bread. I got stuff to make some bread; it’s my last meal that I can make and afterwards my son and I, we’re going to make this and we’re going to eat it and we’re just going to die.” He’s like, “Oh, okay. Hey, go ahead and make it and bring it to me first.” If God didn’t say this, right? You think about the judgment Elijah is about to face here. You’d better make sure God says what He says before you claim to someone that God said it. Right? Especially a widow. Beautiful story. I like this. It doesn’t say that the widow and her son and Elijah had beyond what they could imagine. What it says is that God provided for them each day. That’s the prayer Jesus gave to His followers in Matthew, chapter six, what we refer to as the Lord’s prayer. “Our Father, which art in heaven, hallowed be thy name, your kingdom come, your will be done.” But in that prayer it says this, “Give us our day this daily bread.” Right? God provides daily. Sufficient for the day. And that’s what Elijah’s learning in this lesson, but he’s learning it through people. As Elijah’s called to take from this widow, just think in the life around him, how would this look to the people around Elijah? You think, even if you’re Elijah, “God, I can go out on my own and try to hunt some food, try to survive. Some people are doing it. There’s a way it can be done. Or you can send me to some rich guy that’s … He’s prepared for this famine. He’s got lots of stuff in stock. Or some lady, the same thing. God, you want to take me to a widow?” And it’s not like widows don’t have anything to offer in life. You see this beautiful story of this widow, she’s still caring for her son. Right? There’s tremendous potential there, but when it comes to the thought of society as it relates to widows, it tends to be a place in life where it’s not an area where you go to take from, but rather, bless. This is a point in life where, as someone has faithfully served God’s people, that God’s people have the opportunity to lavish back on them, to help them finish life well. To celebrate the life of what God has done for them and just glean from their wisdom. Not physically show up and take. Yet in this story, that’s what God has Elijah do. When you think about ministry, there are times in ministry where God just calls us to take risks. In fact, I would say in your life, if you follow Jesus with your life and at no point in your life you can never say in your faith you ever took a risk, I would just ask the question, are you sure you really follow Jesus by faith? Yes, you can say Jesus is your Savior, but faith, when you read it in scripture, takes people to places that challenges them beyond their self. And that’s where they grow. The irony of this section of scripture is that here first this is Zarephath. And this word literally means “crucible.” A refinery. God’s using people like a refinery or a crucible. Let me give you an example how that works. Everyone thinks they’re an expert at having kids and how to raise kids, until you have kids. Right? Or, you’re an expert in marriage, until you get married. And then you realize you don’t quite know as much as you thought you knew. And you need to say to yourself, “God, every kids seems to be unique. Where’s the manual on this one?” Right? Once you master one, if that happens, fall on your knees and thank Jesus, then the other one is like totally different. God uses people to refine us. Now I want to be careful in calling people a crucible, because depending on how you look at that, that may not be very encouraging to us. Right? But what does that mean, that this word “crucible” is used in relationship to people? God sends Elijah to the crucible to demonstrate, I think, one, the beauty in him, but at the same time, the weakness that rests in him. Depending on how you look at the crucible determines if you’re seeing it as a curse or a blessing, because the goal of a crucible is to refine, to see the beauty of a precious metal. Right? Now going into that may look a little painful, because that metal has some things that need knocked off of it. But coming out of it is glorious. Think in terms of relationship. Elijah ministering with this widow. Anyone can claim to follow God; it’s when you’re with people, though, that it’s often tested. I can be a loving person all day along, until someone’s around me. Right? I am so loving and then you meet the guy that cuts you off. Right. Or someone doesn’t treat you the way that you know that you deserve and then it’s okay to not be loving, right? That’s the way we try to justify it, anyway. What is that? It’s a crucible. People will either draw out the beauty of who you are within you or the darkness that rests within you. Let me just say this. And they’re not responsible for you. What I mean is, sometimes when we do things, the way that we justify it is because of what they did. And while I think God holds us all accountable for what we do, no one put a gun to your head to act the way that you did. In relationship sometimes we experience the beauty of what God’s done in us being made known. Wonderful thing. And the other joy of relationship is that God uses it to draw out the darkness that’s in our heart that He needs to transform and we need to hold it to His light. Your spouse isn’t perfect. Your kids aren’t perfect. No one around you is perfect. And neither are you. And so in the midst of that relationship tension builds. And how you act isn’t their fault. Though they may not have been perfect, you’re responsible. And the crucible draws that out, the refining of those relationships. What rests in your heart? What is it God needs to do within us as we hold it to His light? What’s this last lesson? I think it’s really to see the sufficiency of God in everything. And when you come before someone like Ahab, it’s very realistic to think, “I could be killed. This could cost me everything.” But in the midst of recognizing the severity of coming before King Ahab, what he ultimately sees is, at the end of the day, though, God gets the victory because He’s the one that holds all life in his hands. This is the first time recorded in Scripture we have someone coming back from the dead. It’s a picture for Elijah just exactly how the fourth quarter ends. For your team or against your team? Patriots fan or not? Thank you. Just slipped that in there. What’s your hope in? Jesus is the prize. When you take that stand, make that risk, do you know in the end, regardless, Jesus wins? God builds Elijah up in these thoughts of the ravine to cut him down. Where is your ravine? The crucible of relationships. Where is God refining you? How can God use the relationships around you to bless you? I could even say, for the life of the widow, what a gift it is to God’s people. It’s just an example, but when you think about the life of a widow. In that point of life it is a place for the church to honor and bless. It really becomes a place for us to reflect God’s glory. But that same statement is true for all of God’s people. God gives us gifts and at the same time, with those gifts we all have struggles. When God’s mix together, with the giftedness and struggles that we have, we find places to be the body of Christ for one another as we minister in the need and a place for the body of Christ to share in the ministry of need. So with my giftedness I am a place to bless and to give and in my need I’m a place for other people to respond in their own giftedness back towards me. In all of it we honor God. In all of it, we need Jesus together. Beautiful. So he goes from being a nobody from nowhere to verse 24. From being called a man of God. It doesn’t just declare his place before the Lord, he lives his place before the Lord. Elijah demonstrates a life of growth and maturity. When it comes to maturity, guys, here’s what I want us to know. When you think about being a mature person, look, a mature person is not a perfect person. A mature person knows where to go to find the one who is. Paul writes about that in Philippians, chapter three, verses 11 and on, talking about maturing in the faith. Some translations use the word “perfection,” but it talks about laying aside everything that’s behind us and pressing forward to grab hold of Jesus. Mature people don’t even care about going around to call themselves mature. The great way to find out who isn’t mature is the person that says they are mature. If you have to say it, it ain’t you, because mature people are humble enough to know you should never say something like that. Because what mature people learn in life is the more they live their life, how great their God is, but how often when they walk in the flesh, how disappointing they can be. Mature people learn humility. They need Jesus. And I love that thought, because here in this last phrase, what it says about Elijah … “I know that you are a man of God and that the word of the Lord is in your mouth.” What’s not said here is Elijah comes down with this kid and this kid’s resurrected and he doesn’t walk down in the room like, “Hey, guys, look how amazing I am. Look what I did.” You know? He doesn’t do that. He doesn’t care about what the lady thinks of him. He cares about where that lady is in relationship to the Lord. Don’t think I’m great. Think God is great. Because in the midst of the battle with Ahab, that’s the only thing that’s going to carry you through. Mature people don’t do ministry for themselves. They do it for the One who is greater. The glory of God. Maturity has its challenges. But on the back end of that, how glorious it is for God to use those opportunities, relationships and valleys to mature a faith that can even stand before giants like Ahab, so that the King of Kings receives the glory in our lives.